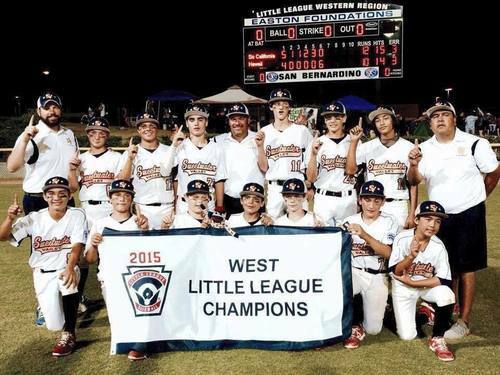 The team is in Williamsport gearing up for the Little League World Series, and a coach is fired from his job? @rgraves22 @10NewsBree @10News It will be on tonight at 5 & 7! "Let's find him a BETTER job!" "You cant blame the company. Everybody needs to do their own job. If you cant, the company finds someone who can. It is that simple. Sorry for telling the truth!!!" "Please confirm the employer ~ we need to boycott this company and find the coach a new job." "Why is everyone mad at his employer? His job is his JOB. Coaching is something you do on your own time. Why should he get special treatment? It's great that his team has made it this far, but you can't really blame the employer since this guy is obviously needed." "So unfortunate, he's trying to help kid's and look what happens !!!!!" "Wow....reading a lot of these comments make me wonder about people. He had a job, one that he received a paycheck for. He neglected his duties to coach a little league team. Great awesome that he loves helping kids. But his job also requires him to be at work when they need him." "Wow bad move company who fired a little league coach. You prefer employees who aren't dedicated to the youth ? Wow"